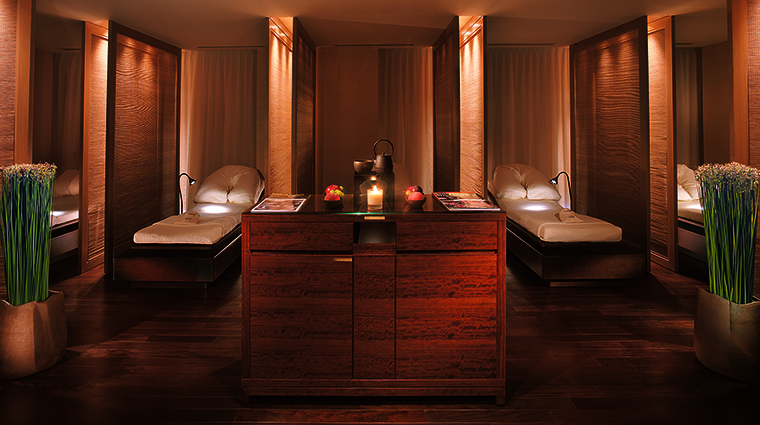 When you need a break from stressful business meetings in the surrounding Marunouchi neighborhood, relief after a long flight or an indulgent end to a day of walking around the nearby Ginza shopping district, head to the urban oasis that is The Peninsula Spa Tokyo. 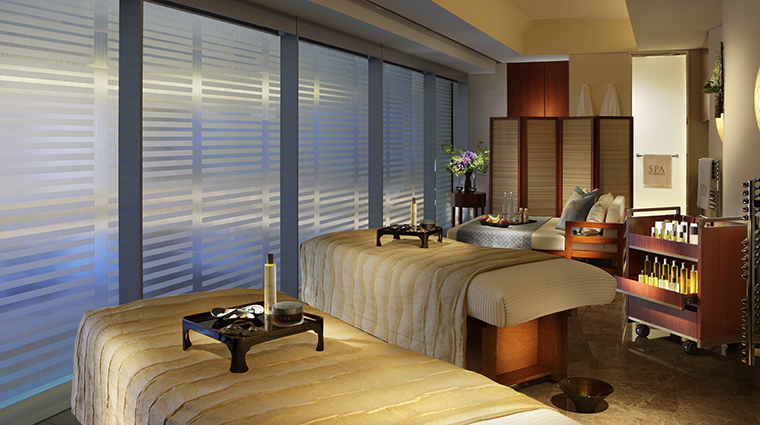 Located on the sixth floor of The Peninsula Tokyo, the spa instantly calms with its modern Japanese décor, warm ambiance, top-notch staff and ESPA treatments. 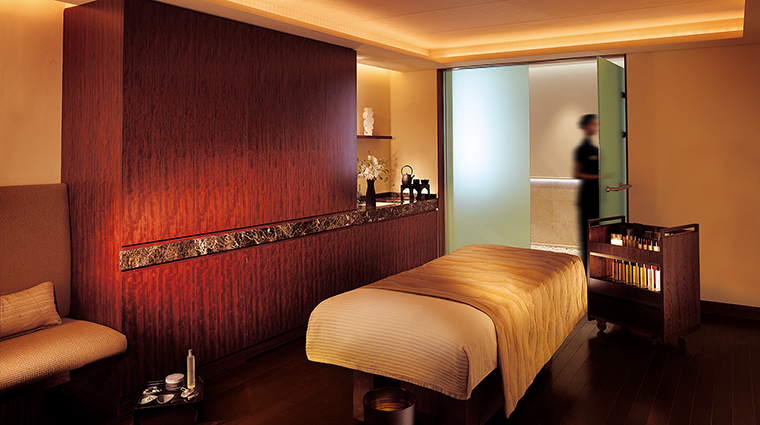 The tranquil spa's soft, contemporary décor comes from Yukio Hashimoto, who also did the interiors for the hotel. Muted dark brown and gold hues, beige marble and dark woods mix with Japanese elements, including aji-ishi granite from Kagawa Prefecture and striking sculptural washi paper light fixtures from well-known artist Eriko Horiki. You’ll have a hard time prying yourself from the relaxation room, where dim lighting, dark bubinga wood floors, cream marble and woven panels separating the comfortable lounge beds create a cozy, inviting atmosphere. In the nine treatment rooms, you’ll see shoji (rice paper) screens that let in light through the yukimi — a window on the bottom that typically was put in to let people appreciate the snowy landscape from inside the warm room — and yabane-patterned fabric ceiling coverings. They also have luxurious touches, such as private showers and adjustable heated beds. If you took a long-haul flight to the city, the Jet-lag Eliminator aromatherapy massage will get you back on track with either an energy-boosting oil or a calming oil to help you sleep. In addition to the standard list of facials and massages, this well-appointed spa also offers manicures, pedicures and waxing. 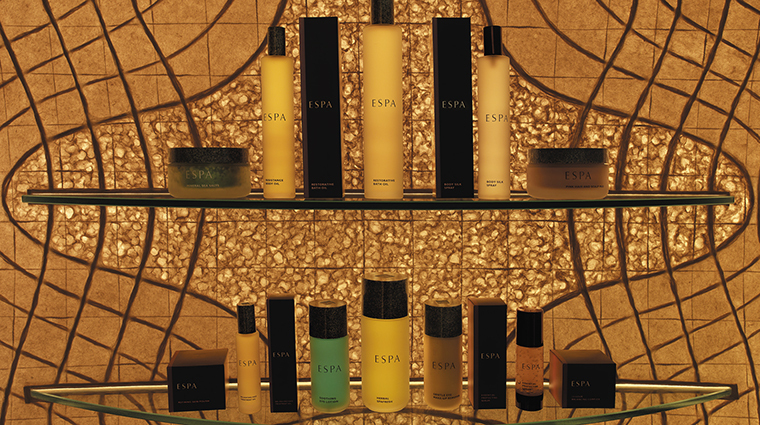 The Tokyo spa also curates a selection of men-only services. Mankind gives you an aromatherapy massage targeting the tension in your neck, shoulders and back, and then works on your feet with deep pressure-point techniques. 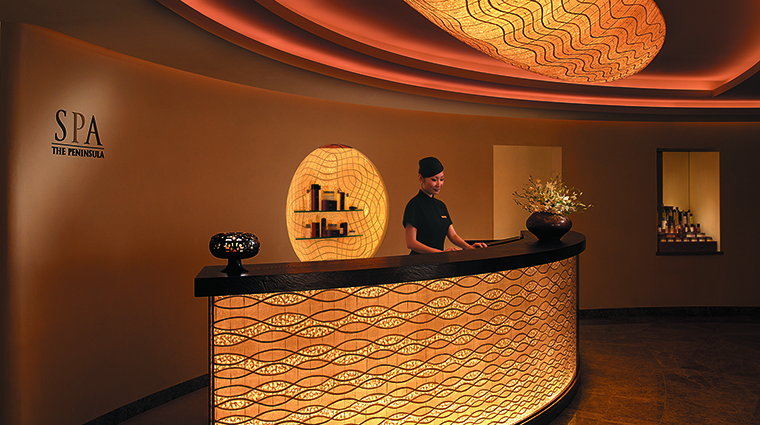 For a well-rounded treatment, choose one of the Peninsula Ceremonies, which draw on a fusion of Japanese, Oriental, Ayurvedic and European therapies. They begin with a welcome ritual — a soothing tea ceremony — and a fresh ginger foot buff to balance your energy. Using deep kneading, rolling and stretching, therapists relieve muscles and spur the healthy flow of qi, or vital life force energy in the Keihatsu Enlightenment Massage. The Balinese massage employs long strokes to help you relax, and the Purva Karma Four Hand Massage sends you into a state of bliss with two therapists unfurling your knots simultaneously with hot stones. Promising to banish dull skin, the Skin Brightener Age Defyer Facial entails a deep cleaning and exfoliation, an intensive eye treatment, and complexion-clearing lymphatic drainage and acupressure techniques. A brightening face mask encourages skin cell renewal while you enjoy a scalp massage. The Skin Rescue hydrates dry skin, while the deep-cleaning Oil Controller clears congestion and reduces inflammation. Be sure to arrive an hour before your treatment to unwind in the mosaic-tiled Thermal Suite, where you can rotate among the crystal steam room, dry sauna and aromatherapy experience showers. Post-treatment, extend your spa time at the fifth-floor amber Namibian granite indoor pool area, which overlooks the Imperial Gardens. 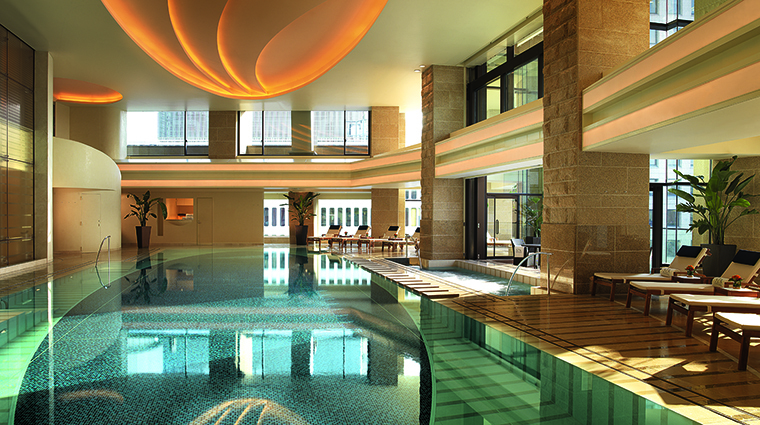 An oval accent on the ceiling reflects on the surface of the 65-foot-long pool, making for an eye-catching focal point. 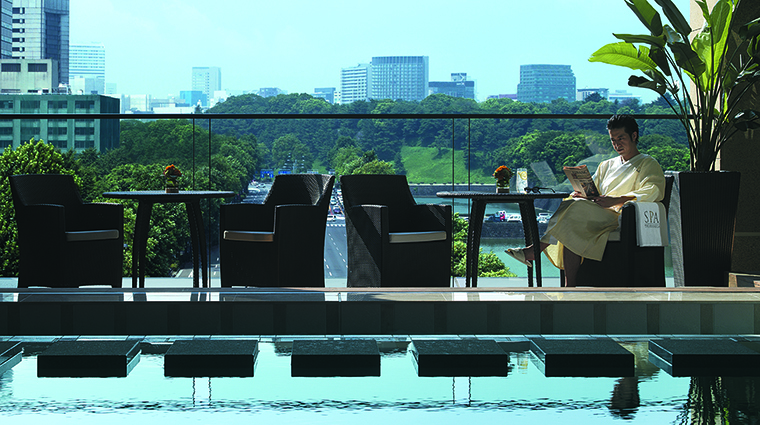 Or opt for unwinding in the adjacent vitality pool, where its alfresco terrace lets you lounge and take in another vista of the gardens and Hibiya Park.